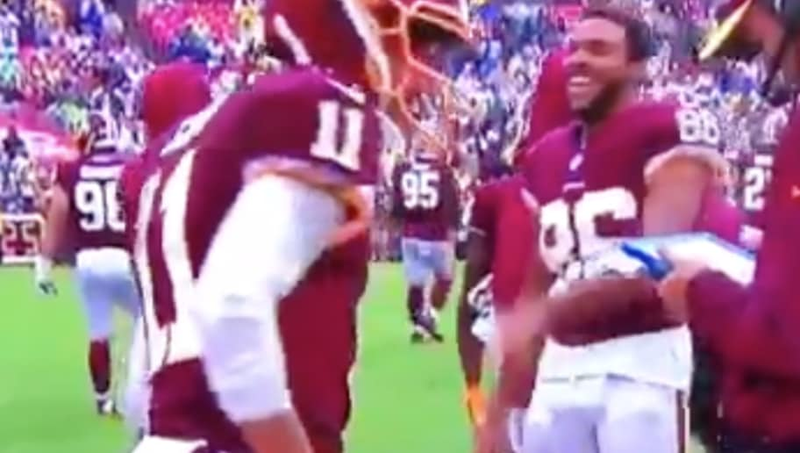 ​You just can't keep Jordan Reed down, unless you're an injury. With the Skins flying high against the Packers at home for whatever reason, Reed is certainly feeling himself, showing off to the Packer faithful that have flown to DC. Check out this filth. ​​And, in case you'd like a closer look (and why wouldn't you? ), here's Reed again, getting after it and pumping repeatedly. ​​Jordan, Jordan, Jordan...you've got to wait until the final whistle before showing off in this manner. Aaron Rodgers has made enough noise in recent weeks, even on one leg (or, in Sunday's case, without even one healthy leg), to be clapping back at his brethren so soon. What's your deal, buddy? Just rest up on that gross sideline turf and try to keep the pressure on. No need to make the fans mad at you.